Book Review: The Age of dromon: The Byzantine Navy, ca. 500-1024. Before reading this book, I was expecting a survey of the navy's role in Byzantine history along with discussions of administration and perhaps a few words on the ships and sailors themselves, in other words, something along the lines of Helene Ahrweiler's classic, Byzance et la mer: la marine de guerre, la politique et les institutions maritimes de Byzance aux VIIe-XVe siècles (Paris, 1966). While The Age of the dromon is indeed this, it is quite a lot more. 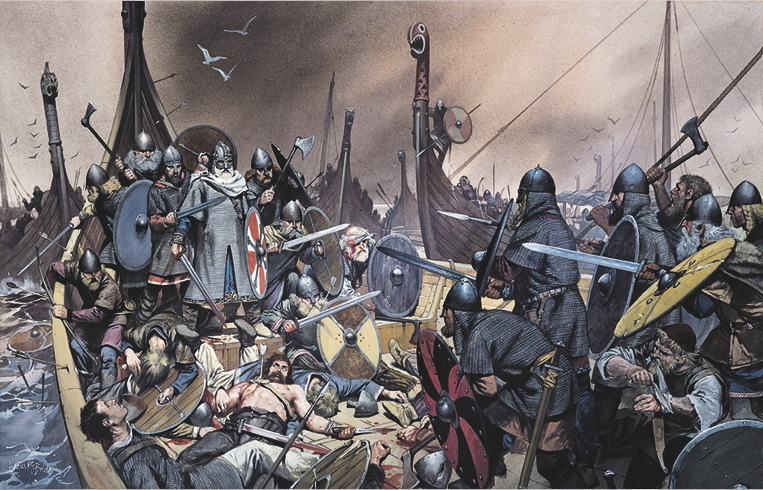 As the title indicates, center stage is occupied not by the navy itself, but by the dromon, the Byzantine war galley. As the authors write, "Our primary objective has become an attempt to elucidate the meanings of terminology as used by contemporaries and how such meanings may have varied from time to time or from author to author" (4). The focus is on terminology and on reconstructing the actual warship: "what did contemporaries intend their terminology to signify and what can we know of the physical objects to which they referred?" (4). The two authors bring different skills to the work. John Pryor has contributed a quarter century of research on medieval seafaring in the Mediterranean and demonstrates a practical knowledge of sailing. Elizabeth Jeffreys is best known as a Byzantine philologist who has edited (and translated) a wide array of Byzantine texts. As stated in the preface, Pryor was responsible for researching and writing the text (parts of which have appeared over the years in other publications), while Jeffreys edited and translated the Greek texts in the appendices, assisted with philological matters, and provided context for the literary sources. The collaboration was quite successful. 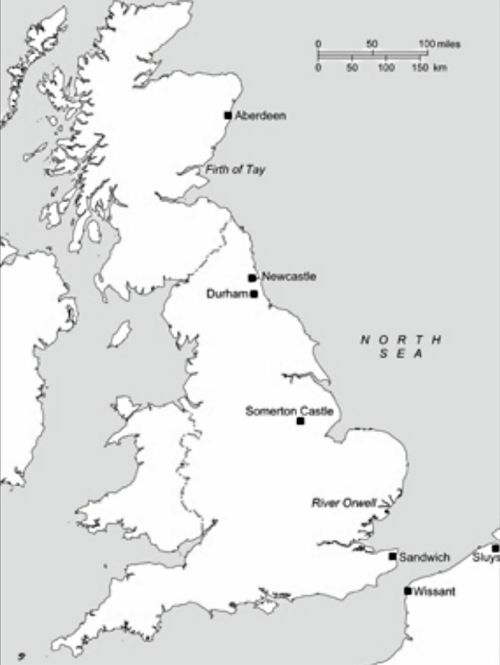 The book begins with an array of introductory material including a gazetteer of historical toponyms, thirteen maps, a glossary of Greek, Latin, and Arabic terms, and a glossary of English nautical terms (the latter absolutely essential for us landlubbers). The book is then divided into six chapters, the first (7-122) being a detailed survey of naval affairs from late antiquity through 1204, the primary virtue of which is that it interweaves Byzantine, Arab, and Latin naval history. Chapter 2 (123-61) deals with the origins of the dromon, tracing naval technology from the Roman period through the age of Justinian. After a brief chapter (163-73) dealing with the relative lack of information about the Byzantine navy from the later sixth through the later ninth centuries (the Byzantine dark age), we reach the heart of the work, a long chapter (175-406) on the dromon during the Macedonian period (886-1025). Chapter 5 deals with the demise of the dromon (407-21) and Chapter 6 with the triumph of the western European galea (423-44). After a brief conclusion, there are a number of appendices which make up a quarter of the book: texts and translations of the ninth-century(?) Naumachiai of Syrianos Magistros; the Naumachika of Emperor Leo VI (as extracted from his larger Taktika), along with a brief text on naval strategies by this same emperor (who had in fact never been to sea); an anonymous treatise on naval warfare commissioned by the parakoimomenos Basil; the naval inventories from Constantine VII's De ceremoniis for the 911 and 949 expeditions to Crete; and Nikephoros Ouranos' paraphrase of Leo VI's Naumachika. There is also an appendix on Greek fire (607-31), an analysis of the galley illustrations in the Madrid manuscript of Skylitzes' history, and the text and translation (by Ahmad Shboul) of the portions of two Arabic treatises by Ibn Mankali that paraphrase Leo VI's Naumachika. The volume concludes with a bibliography and useful indices. Pryor explains that he began his study of the Byzantine galley in the traditional manner: gathering references to the navy from literary and pictorial sources, and attempting to reconstruct the nature of the warships based on these references and aided by previous scholarship. Yet, after long study, he concluded that it was difficult to reconcile contradictory evidence and that the major sources for dealing with naval matters could not be taken at face value: e.g., the anonymous treatise on naval warfare commissioned by the parakoimomenos Basil (958-59) is dismissed as "little more than an exercise in classicizing philology" (4), and much of the Naumachika of Leo VI (dated to 905-06), Pryor concludes, reads as though "conceived by an arm-chair sailor" (181). The paraphrases of Leo VI's work by Nikephoros Ouranos (composed 1000-1011) and Ibn Mankali (fourteenth- century), while correcting or clarifying many of Leo's observations, present their own difficulties. Even the inventories of men, equipment, and finances supposedly for the Cretan expeditions of 910- 12 and 949 and to Italy in 934 and 935, inserted in De cerimoniis and completed in final form under Nikephoros Phokas, are infected by bureaucratese and do not necessarily reflect reality (446). Pryor carefully explains how, in his view, previous scholars were misled by these sources and arrived at incorrect conclusions. After Pryor is through questioning the reliability of most of the sources dealing with naval warfare, what is one left with? Interestingly enough, Pryor's reconstruction of the standard dromon of the tenth century is based less on textual, pictorial, and scant archeological evidence, than on calculations and deductions based on logic and parallels with ancient, other medieval, and more recent data. For example, for his estimate of the length of the dromon, he estimates the minimum longitudinal space occupied by each oarsman (1 meter) and multiplies this by 25.5 (adding a half meter to account for the staggering of the oarbanks). Then he estimates the length of the poop and prow by comparison with thirteenth-century Sicilian galleys, and concludes the standard Byzantine bireme was about 31 or 32 meters long (287-92). Similarly, the calculations for the amount of fresh water the dromon needed to carry are based not on any Byzantine evidence but on later medieval and early modern parallels, as well as the 1988 sea trials of the Olympias, the reconstructed ancient Athenian trireme (356- 58). Some readers might find Pryor's dismissal of most of the Byzantine textual evidence as cavalier, but his arguments, clear and quite detailed, generally seem persuasive. 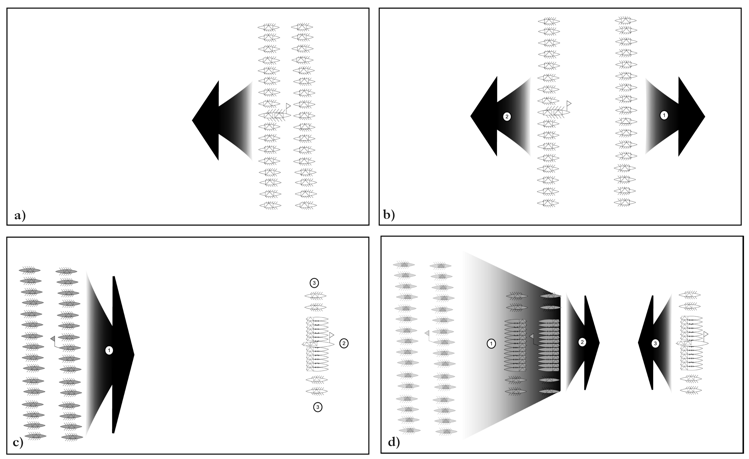 Nevertheless, the reader who simply jumps into the middle of the book to learn something about rowing techniques, or horse transports, or the speed of warships needs to be aware of Pryor's methodology. The word dromon itself probably derives from dromos "race" and the verb dromao "to run," emphasizing the speed of the ships (125) which surpassed that of the standard late Roman liburnae war galleys. The earliest securely-dated references to the word dromon appear in the sixth century, at the same time references to liburnae wane. Pryor suggests that there were three areas which distinguished the dromon from the liburna: the dromon was originally a smaller, fully- decked galley of fifty oarsmen (vs. the half-decked bireme and trireme liburnae); square sails were replaced by triangular lateen sails; and the classical waterline ram was replaced with an above water wooden spur (127). 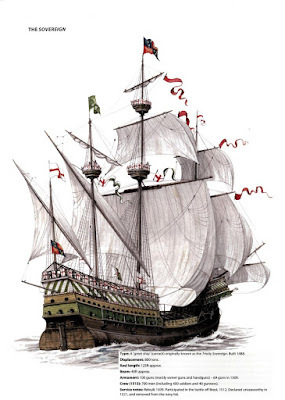 Pryor argues that the purpose of the spur was not to fracture the hull of an enemy ship (like the ram) but to disable the enemy ship by riding up and over its oars (144). The earliest conclusive evidence of the spur is from a late fifth-century manuscript illustration (135). The introduction of the spur, Pryor writes, was probably connected to the evolution of hull construction in late antiquity as shell-first construction with hull planks connected by tight mortise and tenon joints was superceded by frame- first construction with caulking between planks and a coating of pitch which rendered the traditional ram less effective. While the term dromon originally was applied to a monoreme of fifty oars, by the tenth century it referred generally to any war galley (monoreme, bireme, and possibly trireme). 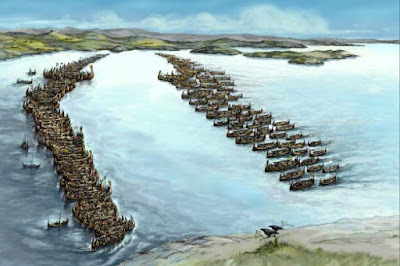 However, the standard tenth-century Byzantine dromon was the bireme galley of one hundred or more oars (120-160 crew members in all) with one bank of oarsmen above deck and the other below (173, 192, 260), though it is possible some larger dromons may have had much larger crews. The bireme galley is the subject of Chapter 4, the heart of the book. Pryor discusses hulls and the shift from shell to skeletal construction; the prow with its flame thrower(s), fortified forecastle, and spur; anchors; rigging; officers, helmsmen, and other personnel; and the poop with housing for the captain and rudders on each side of the stern. He writes that dromons must have had more than one mast, a foremost and another amidship, with the largest toward the bow (238). 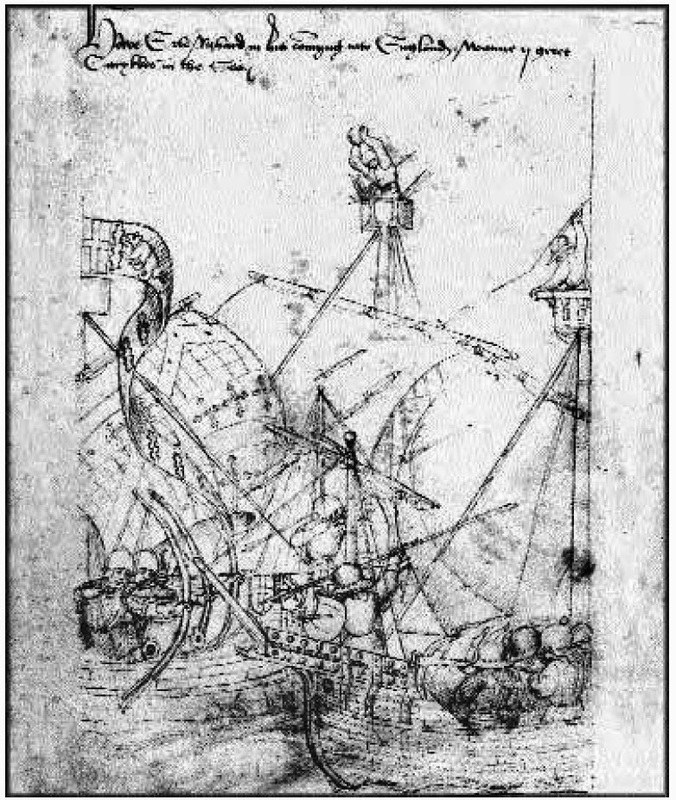 The masts with their lateen sails were lowered for battle, necessitating the castle (located toward the bow) to be split in half. He discusses the oarage system; horse transports which were modified dromons originally called chelandia (holding no more than twelve horses each), though this term could later be used to denote other ships as well; logistics including water needs; and a host of other topics such as ventilation, speed, armaments aside from Greek fire and the spur, and tactics and strategy. Naval encounters, we read, began with an exchange of various types of missiles followed by the use of Greek fire at closer range. 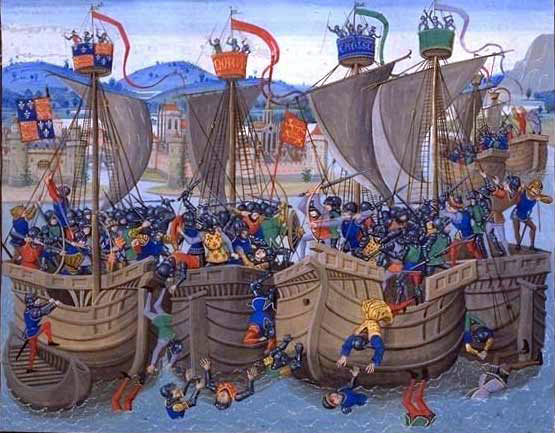 At this point Byzantine tactics called for coupling the enemy ship to theirs so that it could be boarded. In the absence of any ship-killing weapons, naval battles were won by degrading the enemy's ability to resist boarding. During the eleventh and twelfth centuries the dromon was evidently replaced by the bireme Latin galea. Like the dromon the galea was fully-decked and tended to have two banks of oars, stern ornaments, and a pronounced bow spur. But unlike the dromon, the two banks of rowers sat side-by-side above deck (the alla sensile system) and utilized a stand-and-sit rowing technique in which the oarsman, from a standing position, fell back on his bench, evidently producing greater thrust than the fully-seated oarsman of the dromon. Pryor concludes that there never was a single dromon; rather, the term was applied to galleys as they evolved over the centuries from the late fifth through their heyday in the tenth century. During this time the primary reference of the term changed from a monoreme of fifty oars to a bireme of 100 to 108. As the new galea of the west was adopted by the Byzantine fleet in the twelfth century, the use of the terms dromon and chelandion became anachronistic and were replaced respectively by katergon and taretes. Yet, "the terminology of Byzantine texts is a maritime historian's minefield," filled with classical anachronisms and impractical advice based, he repeats, on "arm-chair sailoring," and "what is actually known about the galleys called dromones remains frustratingly little" (445-46). The Age of the dromon is a long and detailed book. Perhaps the eyes of some readers will glaze over as they read nineteen pages on rams and spurs (134-52) or twenty-nine pages on the oarage system of the dromon (276-304), but these sections, like the book overall, read remarkably well and certainly kept my interest. Thoughtfully, at their first appearance Greek terms are printed in both the original and transliterated. There are sixty-one figures, mostly manuscript illustrations of ships, plus many drawings by Pryor, though the numerous schematic drawings of ship plans are not always understandable even after reading the text. And, alas, Brill continues to exhibit some of the worst proofreading of any major publisher. Some errors are inexcusable: "gazetteer" is misspelled throughout, "accommodate" is usually misspelled, and words are occasionally omitted or repeated. In a gaffe where political correctness trumps accurate chronology, the very first line of the first chapter assigns the battle of Actium to "43 B.C.E." (7). 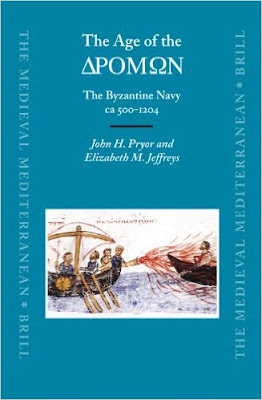 Even though experts in medieval maritime and military affairs will find much to argue with in this volume, The Age of the dromon will remain the standard reference on the Byzantine navy for a long time to come. 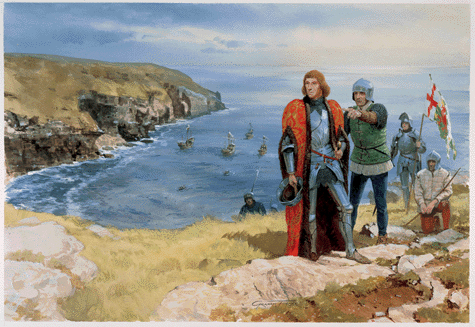 No one interested in medieval seafaring can afford to ignore it. Pryor, John H. and Elizabeth M. Jeffries. The Age of dromon: The Byzantine Navy, ca. 500-1024. The Medieval Mediterranean: Peoples, Economies and Cultures, 400-1500. vol. 62. Leiden and Boston: Brill, 2006. Pp. lxxvii, 754. $213.00 (hb). ISBN: 90-04-15197-4.